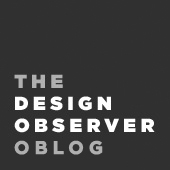 Design Matters will return on October 13th with thirteen new episodes airing every Monday on Design Observer. Host Debbie Millman continues her pursuit of interviewing the world’s most creative designers, thinkers, writers, and cultural commentators on her popular podcast. Design Matters can boast over one million downloads, and is the recipient of a Cooper Hewitt National Design Award. In the nine years since its inception, Millman has interviewed more than 250 design luminaries and cultural figures, including Massimo Vignelli, Milton Glaser, Malcolm Gladwell, Dan Pink, Barbara Kruger, and Seth Godin. William Drenttel collected everything could get his hands on regarding the design and execution of the periodic table, and it's on view.